This President’s Column is by guest columnists Laura M. Machesky and Tobias C. Walther, co-chairs of the Program Committee for the 2017 ASCB|EMBO Meeting. It was a difficult time. The United States had just come out of one of the worst economic crises in history, and much of Europe was turning toward nationalism and xenophobia. Demagogues were gaining power almost everywhere, and science seemed irrelevant to most people. But a few brave pioneers, undeterred by the crises around them, persevered and followed their dreams to discover how life works. Of course we are talking about the 1930s and young PhD students, such as Konrad E. Bloch. In one of the truly inspiring life stories in science, Bloch was denied a PhD in Germany due to Hitler’s race laws and denied a PhD in Switzerland, likely because he missed a citation of one of his examiners. Coming to the United States, he was finally free to pursue science and make the ground-breaking discoveries on cholesterol metabolism that won him the Nobel Prize in 1964 (with Feodor Lynen). For Konrad Bloch, this was possible because he found a community that supported him. In Germany, Hans Fisher (himself a recipient of a Nobel Prize, awarded in 1930 for his work on heme and chlorophyll) wrote Bloch a most memorable recommendation letter consisting of just one sentence: “Mr. Bloch is excellent.” In the United States, Rudolf Anderson wrote a letter promising Bloch a position at Yale, even though Anderson had no funds for this position and even though Bloch had shown crucial errors in Anderson’s earlier work. Special historical settings such as Europe in the 1930s remind us of a crucial aspect of the human endeavor in science: Fundamentally, science is a community effort. Even more than it did back then, science today requires global thinking, sharing of ideas, and pooling human efforts to both pick apart and put together the complexity around us. Although we may have competing ideas, our commitment to uncovering the truth unites us. Science is, thus, not a belief system, but rather the opposite in many ways. Science is an endeavor by curious people to discover the truth about our universe and our place in it. The example of Konrad Bloch, as well as our daily experience as scientists, illustrates that this provides a powerful force that unites scientists all around the globe. ASCB and EMBO are organizations that help us mobilize our community and provide us with the mechanism to come together, discuss our ideas, overcome our challenges, and celebrate our successes. For the first time, this year the two societies will co-organize one meeting. And although these societies started in the United States and Europe, respectively, they are now truly international, as reflected in the global participation in the conference. We are excited to serve by organizing the program for this meeting and are humbled by the task. Everyone who has come to an ASCB or EMBO meeting has her/his own story to share. Needless to say, when tasked with organizing the ASCB|EMBO Meeting, one reflects on the individual experience. Our mirror life stories reflect how international the science endeavor is. We are an American in Europe (Laura) and a European in America (Tobias), organizing the meeting on behalf of EMBO and ASCB, respectively. We both have fond memories of coming to ASCB meetings as graduate students and experiencing a sense of sheer wonder about the size, energy, and intellectual power of our community. ASCB is where Laura heard about cell-cycle progression firsthand from Marc Kirschner, as she sat on the floor in his extremely well-attended ASCB Porter Lecture in 1987. We expect that this year’s lecture by Scott Emr reflecting on his pioneering work in membrane trafficking will similarly inspire the next generation of scientists. When Tobias was a graduate student, coming to his first ASCB meeting and presenting his work made a lifelong impression and totally hooked him on joining the ASCB community. As our lives have led us to foreign countries, ASCB and EMBO have provided a constant: the familiarity of our scientific community, and the completely diverse, yet highly familiar, faces of scientists all around the world. How have these two organizations, ASCB and EMBO, become so central to the scientific endeavor? Besides persistent and great leadership on both sides of the Atlantic, this likely has to do with the centrality of cell biology to the life sciences. Ever since Matthias Schleiden and Theodor Schwann postulated in the 1830s that all organisms are made from cells, the program for the life sciences has been set: Let us figure out how cells work, how they interact, and how defects in their biology leads to disease. This has led us to study all levels of cell biology, from atomic and molecular interactions to cells, tissues, and whole organisms. This breadth of our field will be reflected in the lectures by the Louis-Jeantet Prize winners Silvia Arber (on neuronal circuits) and Caetano Reis e Sousa (on dendritic cell functions in immunity). Cell biology has driven important advances in medicine, public health, and technology development. Some of the most exciting medical and technological advances were born out of the drive to study how cells work, and this effect is only increasing. We look forward to seeing this wide breadth of cell biology at the 2017 ASCB|EMBO meeting! To select the most exciting science, a committee representing diverse fields has discussed and selected some truly remarkable speakers. (See sidebar for a list of Program Committee members.) We will learn about advances in our understanding of cellular structure from pioneers such as Wolfgang Baumeister, Jennifer Lippincott-Schwartz, and Gia Voeltz. 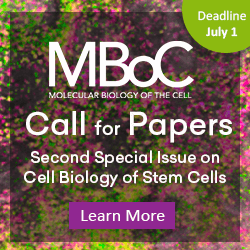 We also look forward to hearing from Michael Hall and Helen Hobbs about the metabolic basis of cell biology and from Angelika Amon, Job Dekker, and Carlos Bustamante about how cells organize, inherit, and read their genetic information. Tom Rapoport and Brenda Schulman will share their groundbreaking work on quality control mechanisms in cells. Valentina Greco and Gillian Griffiths will present their exciting work on cellular interactions. This year, we are particularly excited to highlight the cell biology of the brain. At the beginning of cell biology, its founders, such as Schwann, were fascinated by how cells work together in the brain to produce animal sensation, behavior, and cognition. The intricate interactions in the nervous system still pose what are arguably some of the greatest mysteries in biology. The brain thus provides an example of the beauty of cell communication, systems biology, and the integration of many diverse parts to perform a higher function. To especially highlight neurobiology this year, we have secured phenomenal speakers: the Fred Kavli Keynote Lecture will be delivered by Cori Bargmann, and groundbreaking research from Christopher Walsh, Lukas Kapitein, and Kang Shen forms the basis for a special Symposium. To provide an intimate and focused forum to discuss advances in neuronal cell biology, we also look forward to a special “doorstep” meeting on Saturday before the main ASCB|EMBO Meeting. Numerous Minisymposia and Special Interest Subgroups will reflect both the breadth and depth of modern life science research. 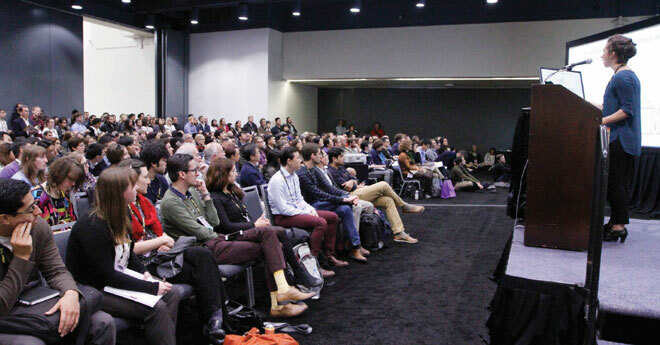 Most importantly, as in prior years, poster sessions and exciting Microsymposia will form the heart of the ASCB|EMBO Meeting, and we look forward to seeing many of you there. 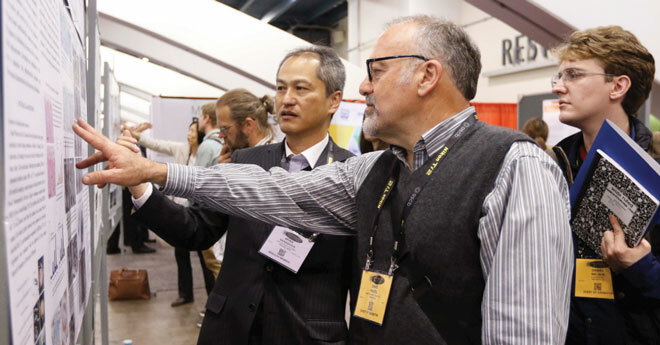 Concurrent with these, more technically focused workshops on advances in mass spectrometry, microscopy, and genome editing will provide interactive access to cutting-edge technology. Moreover, you will have the opportunity to try out some of the latest equipment, attend special training and educational presentations, and interact with a huge variety of biotechnology vendors. The ASCB|EMBO Meeting is also an absolute must for career development opportunities, with around 40% of the program devoted to opportunities for sharing career development advice, small group networking tables, and programs that focus on advocacy and on scientific education. To make all this possible, the ASCB staff are already working hard to make this a truly rewarding experience for all participants, and we want to thank them for all the help so far!